Tatweer Petroleum (TP) is currently operating the Awali gas field in Bahrain. The field is producing 635 MMSCFD of Associated Gas (AG), of which 285 MMSCFD is being processed in a gas plant. The 350 MMSCFD of unprocessed AG is compressed and re-injected into the reservoir for pressure maintenance. 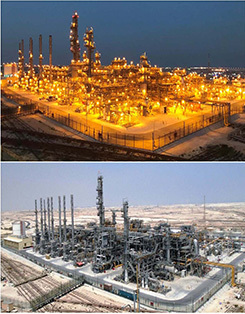 This gas plant was built as part of an expansion at Bahrain National Gas Expansion Company (BNGEC). 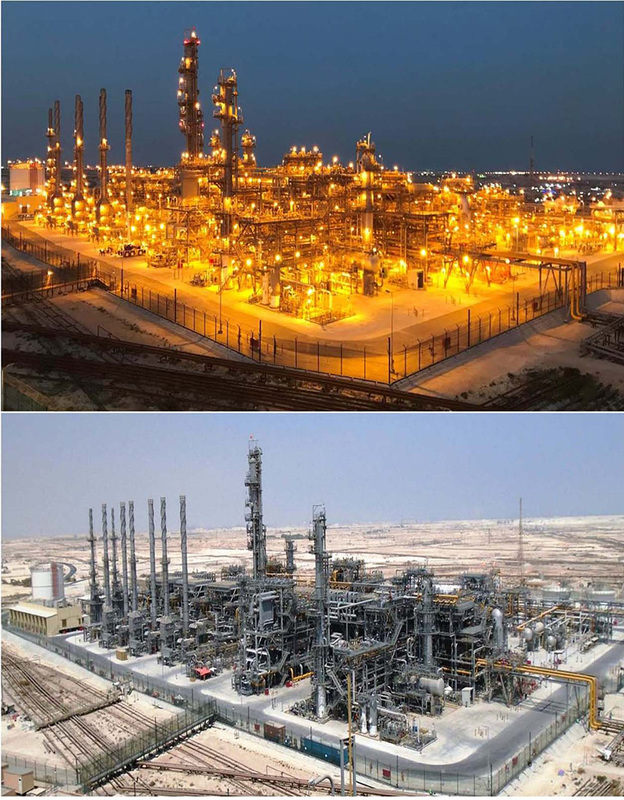 The new Central Gas Processing Facility (CGP-III) is capable of processing 341 - 350 MMSCFD of Associated Gas (AG) and 0 - 9 MMSCFD of Refinery Off Gas (ROG) in a new Central Gas Processing facility (CGP-III). As an addition, the facility is equipped to compress acid gas and residue gas streams to 1,500 psig. The Gas Plant is equipped to process the Wet Gas, produces LPG (Liquefied Petroleum Gas) and Naphtha. The EPC Contractor for the project is JGC Corporation and the Construction was awarded to MCSC. The scope of work for this project includes Civil, Building, Mechanical, Piping, HVAC, Electrical, Instrumentation, Painting, Fire Proofing and Insulation including Pre-Commissioning & Commissioning assistance works. Concrete Works: 8,350 Cu. M.
Site Grading Works: 150,000 Cu. M.
Asphalting & Paving Works: 13,075 Sq. M. & 30,000 Sq. M.
Piping Welding: 1,94,375 Inch Dia. Underground Piping Works: 3,800 Inch Dia. HDPE Piping: 13,312 Inch Dia. Area Painted: 27,600 Sq. M.
Electrical Cable Layed: 233,000 M.
Instrument Cable Layed: 360,000 M.